I sat on my couch Sunday morning, knowing I had something better to do. It wasn’t much, just writing letters to infrequent voters, something I should be used to doing regularly. And I almost didn’t go. We drove. To make ourselves go. To Brooklyn. And it took all of about half an hour. We could have just turned back. But we went. 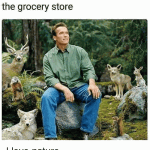 There is a meme going around with a picture of a self-satisfied man in the forest surrounded by adoring animals and underneath it the joke: “When you bring your own bag to the grocery store. 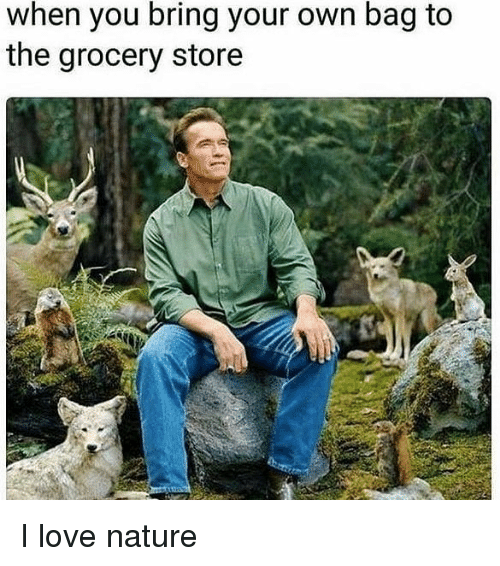 I love Nature.” And we almost didn’t go. I don’t want to believe the situation is dire. Beto O’Rourke will win. Because who could vote for Ted Cruz? Come on people. Because I believe we will take the House and am optimistic about taking the Senate, I almost didn’t go. We arrived and an old friend greeted us and we were given coffee and a clear task. Add a sentence to a pre-printed letter about why we vote. I wrote: “Because it’s the best way to ensure that my representative votes with my interests and values in mind.” Sign and put on a stamp. Do that 30 times. My friend’s husband brought sandwiches. Music played in the back round. More people joined us. I think I had imagined that doing this would require having an argument. Telling someone who really didn’t want to hear it that his or her vote had been what put this country into chaos. How could they do this to our country? To my sense of well being that comes from knowing that even when my country missteps, it has history to fall back on. It knows right from wrong. It has a moral compass. We have no compass now. That’s why I’m voting this time. I wish I could vote a thousand times for Beto and a thousand times against Rep. Devin Nunes of California. But I only have one vote. And this is my only country. And if we don’t win these midterms, we are in big trouble. We are becoming the country of our lesser selves. Of the people, like our president, who think lazily and rail at imagined demons. We once stood against real dangers, now we tilt at pretend ones. It is time to go. We did not go into the streets when Senator Mitch McConnell refused to schedule hearings for Merrick Garland. That was the beginning. We took for granted that the extremists who think racism and anti-semitism are okay would remain buried in our well-polished woodwork. That no Senator or Representative would put lucre higher than legitimacy. We should have gone. In July, Nunes, the Republican chairman of the House Intelligence Committee, worried that if his party does not keep the majority in the house, “all of this goes away.” Meaning, I take it, his party’s ability to protect the president from impeachment and keep making life good for the Koch Brothers. I think the blue wave is real. I have faith that we will get through this. But I have to get off the couch.